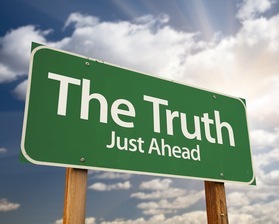 Whenever you hear someone say they are going to give you the straight truth about a person or particular subject it usually isn’t good news. In a world where we are inundated with posts, tweets and instantaneous information it’s very easy to only get the information people want you to hear. When it comes to the factoring industry it’s very easy to get roped into thinking that it’s just about getting some capital, advance on receivables and make huge returns. What is the actual truth about the factoring industry? Anyone who works in this industry is entitled to their own opinion therefore, I will go on record and say that the views below are only mine based on my experiences as a broker, funder and due diligence coordinator. Truth #1 – Factoring invoices is not as easy as everyone thinks. Sure, the concept and mechanics of invoice factoring are very straightforward but each deal is unique. Experience has taught us that pure vanilla factoring deals are rare. In other words almost every deal has a “but” in it. How often do you come across the perfect client with stellar account debtors but they have a recent tax lien that has not been addressed? Or what about the well known account debtor that the prospect just landed but refuses to verify invoices? For those of you new to the factoring game you will find that much of closing new deals depends on your ability to work around the objections while protecting your security interest in the transaction. Truth #2 –There is no due diligence template. So often we get calls from new factors about how we evaluate new prospects. Should we run the UCC-1 search first or should we pull credit report? Do you send out the notice of assignments before the agreements are signed? Does my company’s name have to be on the remittance? These are just a few of the typical questions we get regarding due diligence. The best way to answer this is that you can do as much or as little as you like when it comes to your company’s due diligence policies and procedures (although we recommend that you take as much precaution as possible). As a point of reference there are many great resources available for anyone interested in getting started in the factoring industry. For more information see our July 2011 article, “Starting Your Own Factoring Business? It’s Your Call”. Truth #3 –Factoring is about relationships. In other financing industries it’s basically a one and done type situation. When a mortgage company closes a loan they are on to the next deal. The same is usually true in any other type of financing arrangement. Unlike traditional loans, factoring companies are constantly interacting with their clients. Whether it’s funding a new invoice, rebating receipts or adjusting escrow accounts, there will always be activity between the client and factor. What other truths are out there that I’m missing? Feel free to give us your comments. Don D’Ambrosio is the president of Oxygen Funding, Inc., an invoice factoring company located in Lake Forest, California. Along the lines of your point #1 I would like to add that the risks of Factoring an invoice are often over simplified. As new players get into the business, particularly those with a big business or high finance background I hear things along the lines “by investing in factoring invoices payable by high quality debtors you transfer all the risk of payment to AAA company while still enjoying rates of return associated to the higher risk profile of the client.” This may be true with regard to the risk associated with the financial inability to pay. However, in my experience in the factoring industry it is rarely the financial inability to pay that leads to a loss. Losses typically stem from business risks related to the clients products, offsets related to claims or discounts or out and out fraud. None of these are risks that are mitigated by the high credit quality of the debtor as they are all client related risks. Not to say that having a good quality debtor isn’t important, but it is far from the only risk that a factor must consider.